Each TRIUMF summer school has a different theme selected from fields spanning the breadth of our research program. Please refer to the school websites for this year's programs. The TSI gives graduate students and young researchers a practical course on modern experimental or theoretical methods and challenges in a variety of fields. The TSI is designed to be very interactive with ample time for questions and discussions. Part of the afternoons is reserved for hands-on problems to help learn and digest the physics of the lectures. 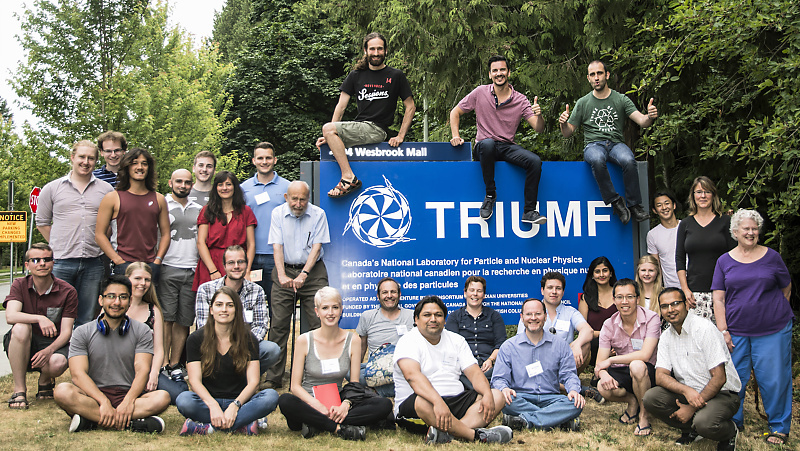 TRISEP is an international summer school organized jointly by the Perimeter Institute for Theoretical Physics, SNOLAB, and TRIUMF. The host venue alternates each year amonsgt the three institutions. TRISEP features lectures by leading experts in the field of particle physics and is designed to be very interactive with ample time for questions, discussions and interaction with the speakers. The school is intended for graduate students of all levels who were already exposed to quantum field theory. GRIDS is a summer school that was started in 2018 for graduate students and new post-docs in nuclear, particle, and astroparticle physics to get hands-on training with the detector and instrumentation technology used in modern experiments. It is aimed primarily for those students and post-docs with limited experience with experimental hardware. The school will offer a diversified program, combining plenary lectures on a variety of topics from leading experts with hands-on laboratory experience with typical detector and instrumentation technologies. Participants will develop a basic understanding of the interactions of particles with matter that are relevant to radiation detecting and of the physical mechanisms for collecting energy deposited by radiation. Participants will also develop lab skills to operate commonly-used equipment for radiation detection in a safe and effective manner. The school is open to National and International graduate students, and new post-docs. Acceptance to the school is limited.